I’ve been going to NAMM almost every year since 2004 and I’ve had the opportunity to see a number of changes in music technology, instruments and products over the last decade. 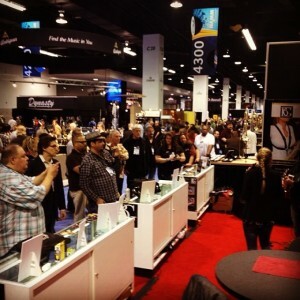 This year’s NAMM took place at the Anaheim Convention Center January 23-26, 2014, and as always, it was exciting to be a part of an event brings together music manufacturers, vendors, and artists from all over the world. This show was the first year I had the opportunity to perform at a booth during the convention (although I’ve performed at after-party type events before). U-Nam and I played at the BG France booth at 3pm Friday, and although I was nervous (I’ve never played in front of that many musicians before), it was a lot of fun. 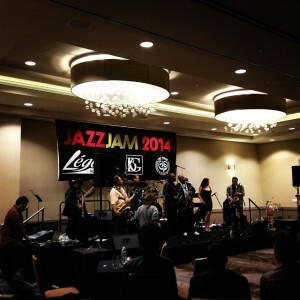 We also performed at the BG France, Legere, and Theo Wanne artist appreciation jam session on Friday night. 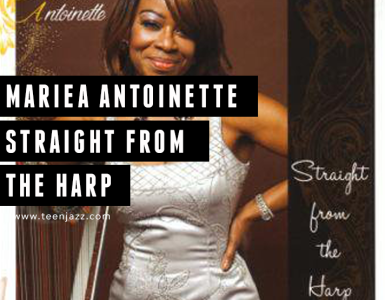 Ryan Saranich and I co-hosted the event, and it was great getting to catch up and perform with other artists like Adrian Crutchfield, Marcus Anderson, Arno Haas, Eddie Baccus Jr., James Carter, and Rocco Ventrella. Each year, I like to try to list a few of my favorite moments from the show, and so here are a few things I found noteworthy as part of the event. 1. Brancher Mouthpieces // Brancher doesn’t make it out to the show every year (they are located in France and more often make it out the Musikmesse), but when they’re there I always make a point of stopping by their booth. They recently released a new mouthpiece, the E series. I was using their J series mouthpiece on tenor, but after playing the E series, I decided to make the switch. It really opened up my sound and was significantly easier to play (and that’s saying something because I really loved my J series mouthpiece). 2. Arturia // In March Arturia is releasing a new controller, Beatstep. It was featured at NAMM this year and we were pretty impressed with it. Beatstep is both a midi controller and sequencer and it works with either an iPad or computer. Plus it connects via USB, CV/Gate and Midi, and it is both velocity/pressure sensitive. Plus it’s going to be available at an affordable price. 3. Antigua // Antigua had several beautiful and great sounding horns at the show this year and I really enjoyed getting the opportunity to play several of the altos, tenors and baritones. 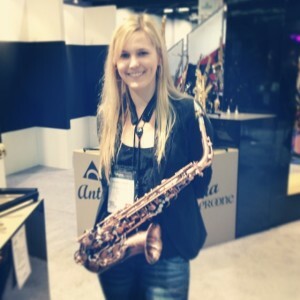 I have to admit that I visited the booth several times because I loved playing on the copper alto and tenor. 4. Sheila E // Prior to the jam session on Friday night we got to hear Sheila E play on the outside stage. As we shuffled from the convention center to the Hilton, we paused to watch a bit of the performance and she sounded great. 5. Ibanez // Their exotic wood acoustic guitars are gorgeous! I fell in love with their zebra wood acoustic. 6. Fender // Nothing to do with music, but as we browsed the Fender booth I noticed that they had wine. Fender wine. 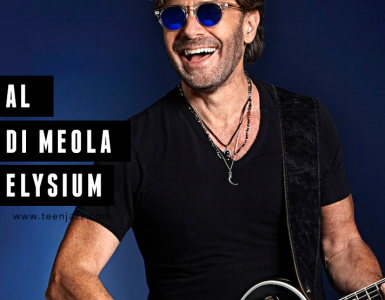 It seems this concept has been growing in popularity – Dave Koz and Fergie also have their own wines and apparently artists like Sting and Dave Matthews own wineries. Go figure. 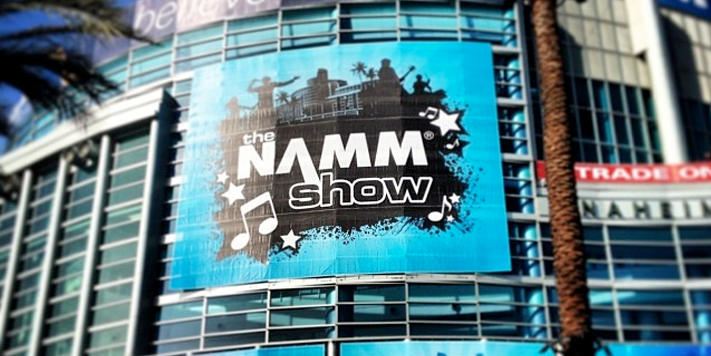 If you were at NAMM this year, what products got your attention?